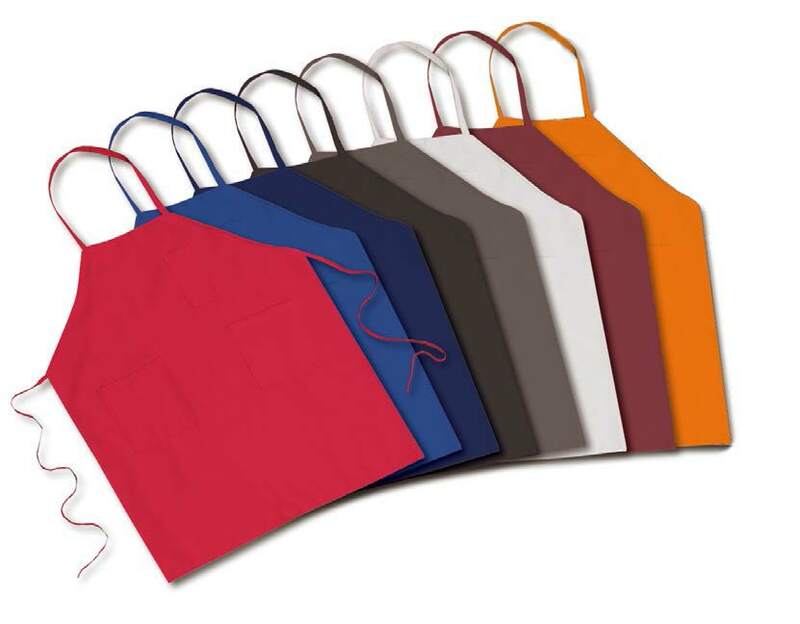 Clean & Professional Bib Aprons w/ no pockets keep your staff looking great during the entire work shift. These Bib Aprons with no pockets are made with 6.4 oz/Sq Yd 100% Spun Polyester with durable Nylon Ties. 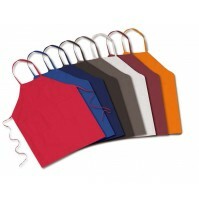 Luxurious soft touch with long-lasting, stain resistant, durable wear-life. Available in many colors, to suit your image and branding needs. Suitable for food processing to fine dining and everywhere in between.